Welcome into our Patio & Garden living space. 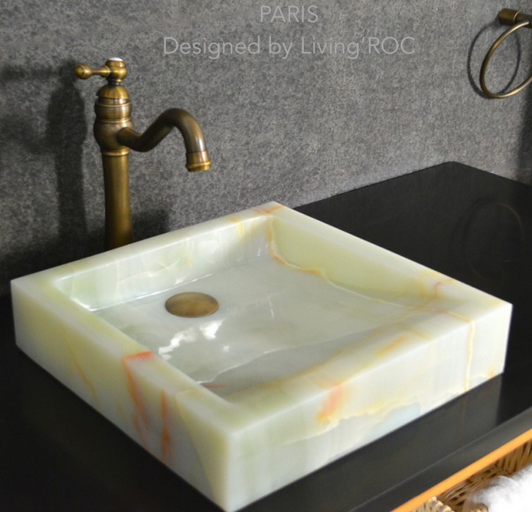 Imagine the mixing of those beautiful materials with precision for an incredible and incomparable look. 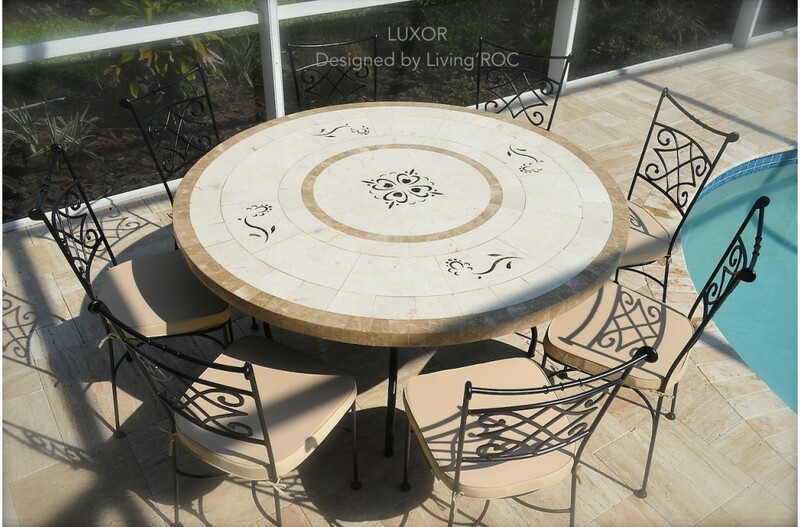 This natural stone table draws energy essences of the famous sunny Florida by displaying refined lines and a design suitable for indoor and outdoor use. 63" Florida table will add a art to your next family gathering. Thank you very much Maria for sharing your photo with us. Spanish Marble and Egyptian beige galala makes this patio table perfect to fit into your environment. Luxor can accommodate up to 10 guest. 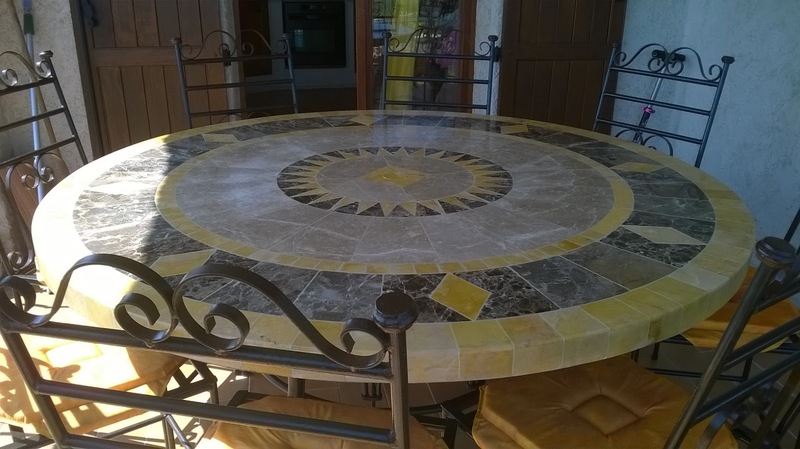 To complete your project you may add our wrought iron patio chair the Diamond or Lila. 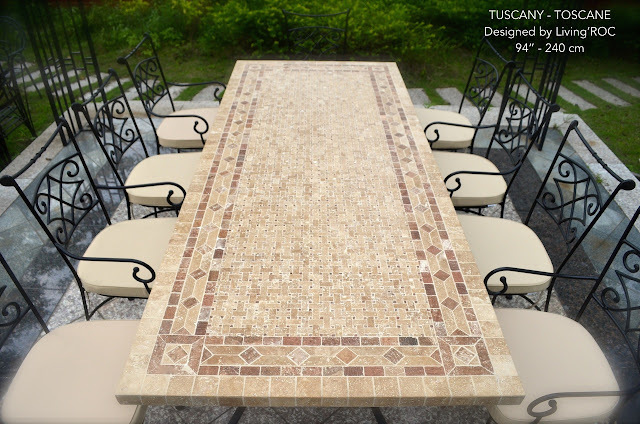 Tuscany dining table will remind you of the atmosphere of southern Italy with its Italian natural stone marble. 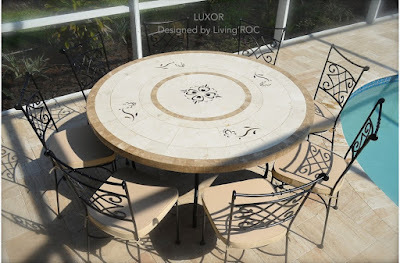 We welcome you to visit us on LivingRoc to see all of our natural stone outdoor patio tables. Comfort is yet another factor to go for while deciding what chair to go for.http://www.gardenarteu.com A seat meant to be used for dining should be weighed and considered for the following purposes.buy garden furniture in Annecy A chair that seems too low or too high won t be conducive to be used for dining neither is it opted for since it not also entertaining. Armrest chairs are ordinarily better but that again goes with the style that was used in the construction of the chair. buy garden furniture in Lyon Chair backs also should be tilted at a certain slanted angle since one would not want to feel as if he/she have to squeeze to fit in the armrests and also one does not feel comfortable being dwarfed by the chairs and hence unable to slide all the way into the seat.